Fall colors in the Sierra Nevada are beautiful. 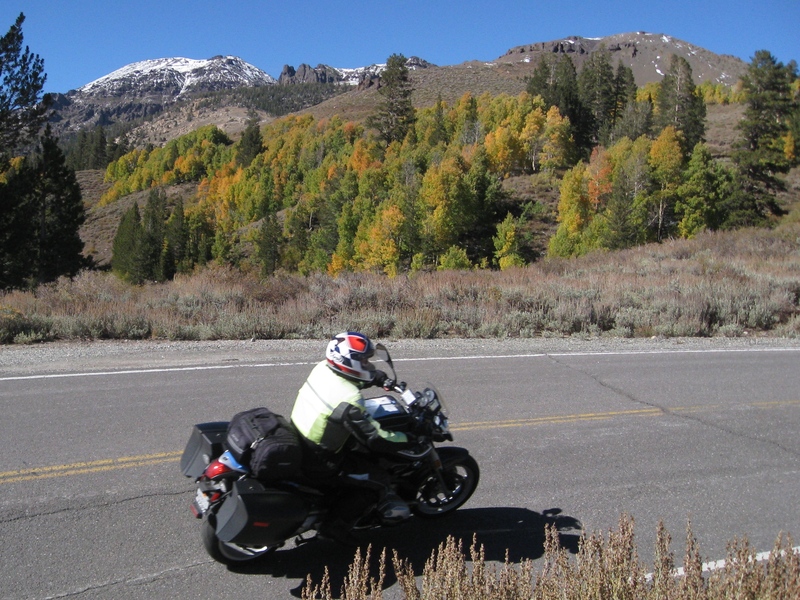 Our high-elevation mountain passes already offer some of the best motorcycling in the US. And the quaking aspens and other deciduous trees that thrive in the Sierra deliver spectacular shows of autumn colors. Right now (September 24, 2013) it’s still early for fall colors in most of the Sierra. But conditions and the scenery change quickly. Just when the trees begin to change color and then peak is determined mostly by changes in temperature. And temperatures are affected most by elevation. Fortunately, with Sierra passes ranging from about 7,000 feet to nearly 10,000 above sea level, you should be able to find a great autumn show somewhere from late September through the end of October. And looking for those fall colors on a motorcycle ride is one of the best ways to find them. Some of the best places to see fall colors also just happen to be some of our favorite motorcycle roads. 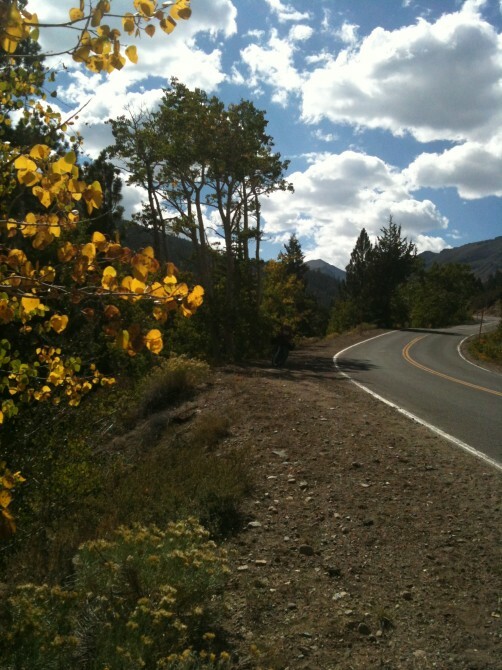 Sonora, Monitor, and Ebbetts passes offer both beautiful groves of aspens and twisty pavement. Of those three passes, Sonora is the highest and so will usually show its colors earliest in the season. All are within an hour’s riding from Carson Valley on great motorcycle roads. The Carson Pass route on Highway 88 has some great autumn scenery, plus beautiful high-elevation lakes such as Caples Lake and Silver Lake. Just after you descend eastbound from the top of Carson Pass you’ll head through a long corridor of aspens and into Hope Valley. This might be one of the best places for fall colors in all of the Sierra. And it is just about a half-hour from Carson Valley. 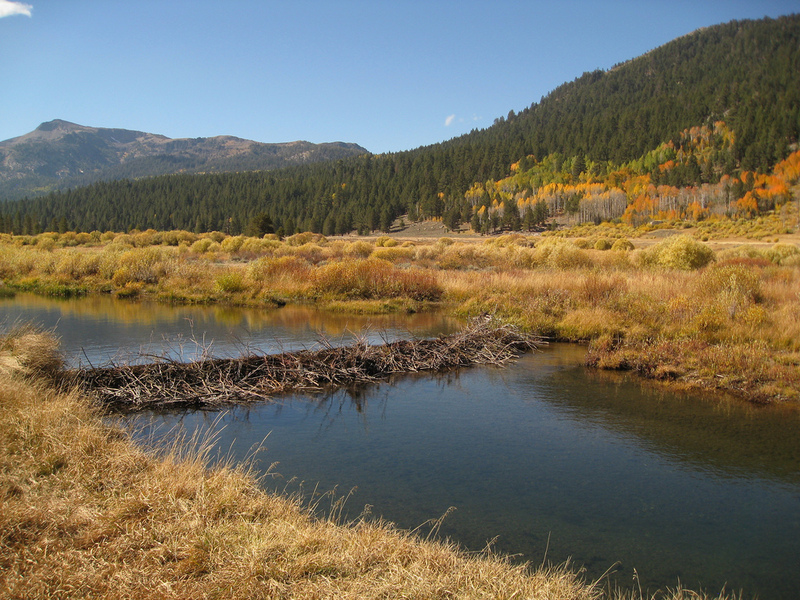 Stay tuned for more pictures and updates about the fall colors in the Sierra Nevada this year. And start planning your own fall colors motorcycle trip. Some of our friends who are members of the Carson Valley Visitors Authority are offering accommodations specials to make it easier for you to ride up and visit. 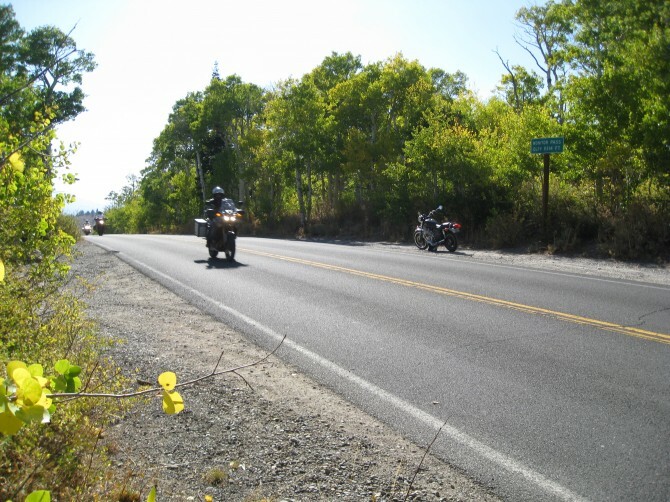 The Carson Valley Inn is offering several room discounts for fall motorcycle travelers. Through October 27, you can stay Sunday through Thursday in a standard room for $79 per night, a deluxe room for $89 per night, or in the Carson Valley Motor Lodge for $69 per night. Friday, Saturday, and holiday night rates are $95 for a standard room, $105 for a deluxe room, and $85 at the Motor Lodge. Tax is additional and the discount is not available September 27 or 28. From October 28 through November 14, Sunday through Thursday rates are a standard room for $69 per night, a deluxe room for $79 per night, or in the Motor Lodge for $54 per night. Friday, Saturday, and holiday night rates are $79 for a standard room, $89 for a deluxe room, and $65 at the Motor Lodge. Tax is additional. To take advantage of the special promotion, call the Carson Valley Inn at (775) 783-6629 and ask for the Fall Moto special. The Holiday Inn Express is offering a one-night stay in a standard room, plus a certificate for dinner at the Tahoe Ridge Winery, for $135, plus tax. The offer is good through November 24 and is not available September 27 or 28. Call the Holiday Inn Express at (775) 782-7500 and ask for the Fall Colors in the Sierra discount. If you are heading up from the San Francisco Bay Area, you’ll have a choice of ride routes over several Sierra Passes. 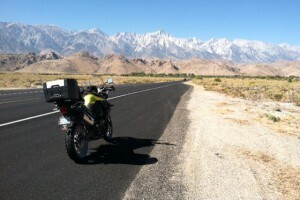 Headed up from Southern California, you’ll probably want to ride US 395 along the edge of the Eastern Sierra. Take the slight detour along the June Lake Loop, State Route 158, for some fantastic fall colors along the way. And remember that fall weather can change quickly in the high country. Check the Caltrans QuickMap for live data from highways around the state.